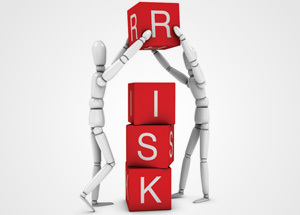 CFEs: Are Your Entities Building Prudent ‘Risk Cultures’? Many entities have imprudent risk cultures or elaborate ethics codes that aren’t instilled among employees. CFEs can take a lead role in guiding companies through the essential fraud prevention process of creating an effective and vibrant risk culture. Stacy, a CFE, and a vice president and assistant manager at Schultez Bank, was concerned the bank had been taking chances by making hundreds of subprime home loans to questionable borrowers. And she was often dismayed when the executives, spurred by bloated incentive packages, took dubious chances. Stacy knew what a healthy “risk culture” should look like, and this wasn’t it. She took her concerns to the bank’s president, who tried to convince her that the bank needed to take these chances in boom times to satisfy the shareholders. But Stacy wasn’t convinced; she took her skills to another bank that had cultivated a culture of ethics, sound reasoning, and a healthy risk structure among all its employees. Good thing she did. In 2007, Schultez Bank, like many small banks, succumbed to its wildly high-risk attitude, unethical practices, and outright fraud. Though Schultez Bank isn’t real, it represents many institutions and companies that have imprudent cultures or those with elaborate ethics codes never instilled among the employees (witness Enron). ACFE Founder Joseph T. Wells looks at the impact of fraud in an economic downturn and the steps required to overcome the unique challenges associated with it.